Here’s a great article by Rain Dagala for MEG Magazine a few months back. It gives some good points on what to expect when you come over to a designer for a design consult. There’s a difference between a seamstress and a designer. A designer will make an outfit based on an agreed collaboration between the two of you. 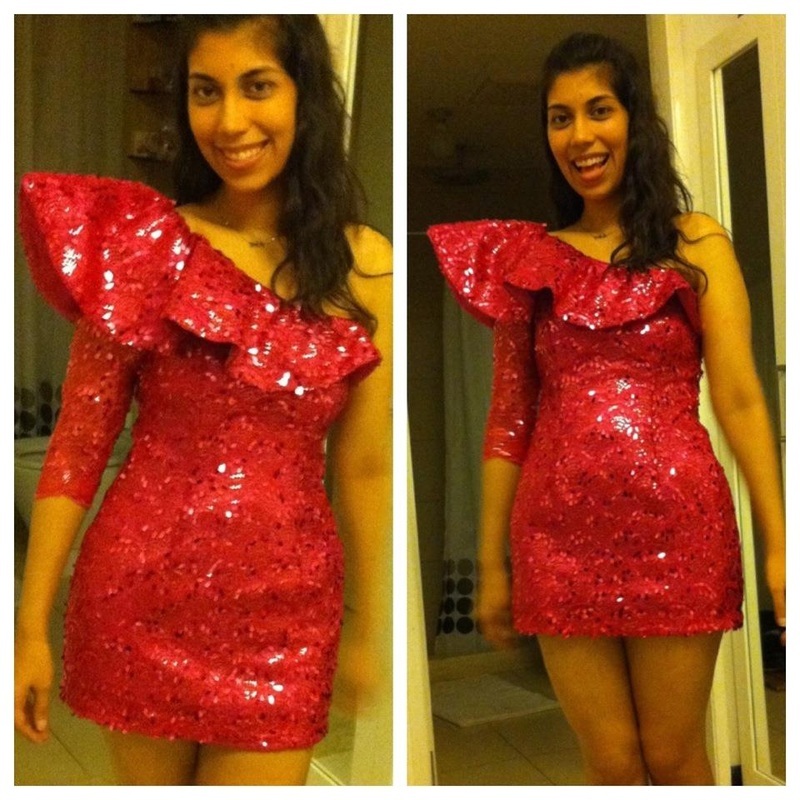 A seamstress will do an outfit solely based on what you asked her to create or duplicate. It is best if the designer you will be working with has an aesthetic close to yours. Know what you like. While generally, designers can be flexible in terms of design, most of them are known for a certain look, and you should be aware of that. It manages your expectations. While designers can be inspired by a certain runway look (bring pegs with you! ), allow them to tweak the design for you. This is where their expertise comes in. If you want an exact same look as your peg, go to a seamstress instead. In the Philippines, a designer can be more flexible with the prices. Just open up about your budget and discuss it with them. When negotiating, make sure that the final price you settled at justifies the amount of work that will be done for you. Allow the designer to take your measurements to ensure good fit. Say what you want to say politely, but listen to the designer’s advice. When he/she says that a certain cut, neckline or silhouette will not work for you, believe it. Go to your fitting on time. Out of courtesy, if you can’t make it, make sure that you let the designer know in advance. To have a better output, wearing an underwear that is closer to the actual thing you will put on when you wear your outfit is best. Bring heels as well. Give the designer ample time to complete the dress, so that quality isn’t compromised. Apart from that, designers normally charge higher for rush work. Michelle, one of our first clients, gets hitched! She asked us to make the entourage dresses and we cannot wait to post more photos!! Congratulations and thank you for the support, Michelle! 1) Plan ahead. What’s your favorite color? Favorite food? Start with the little things and build on them. Knowing these things will help you envision your dream wedding. Don’t even think about cramming! 2) Less is more. When in doubt, remember those three words. 3) Don’t stress. Hire a wedding coordinator. DIY is fun, but in moderation. Seriously. 4) Don’t scrimp on food. People will remember what they ate that day. And yes, you will get to eat on your wedding day! 5) Listen to married friends. They’ve been there. Listen to their experiences and ask for their opinion. They will be more than happy to share! And now for some shameless plugging. 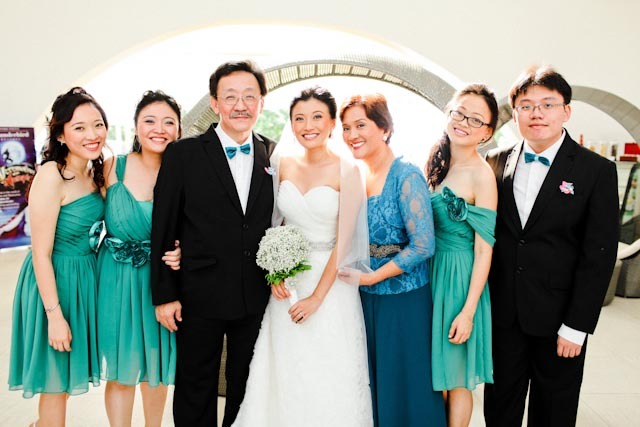 We are totally loving this RAZA organza gown on Camille. All we had for this shoot was this dress and a red lipstick. Brides, as mentioned earlier, LESS IS MORE! White, no beading, and red lips! For orders and inquiries, contact us! The Ko-General wedding was one of those “i can’t believe how much effort they put into this” type of wedding. The bride was very hands on and very detail oriented (she should be, being a top honcho in the advertising world.) It was a breeze for Raza to create these wonderful peek-a-boo flirty dresses for her bridesmaids, especially since Sarah was a very easy bride to work with, giving us pegs, color swatches, vision boards, etc (in powerpoint format mind you!) all of which she provided while away in Bangkok. 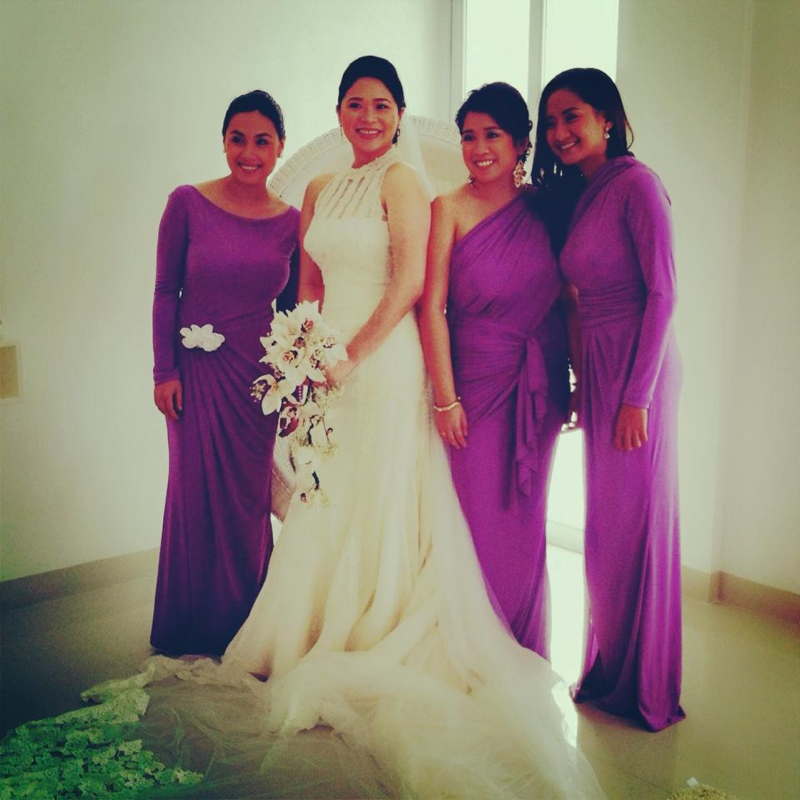 These dresses were made to be light and airy to go with the beautiful backdrop of Thunderbird Resorts in La Union. We added slits to the front to add drama to the dresses. They looked fabulous especially when walking! We love brides with a clear vision and we loved making these dresses for her! 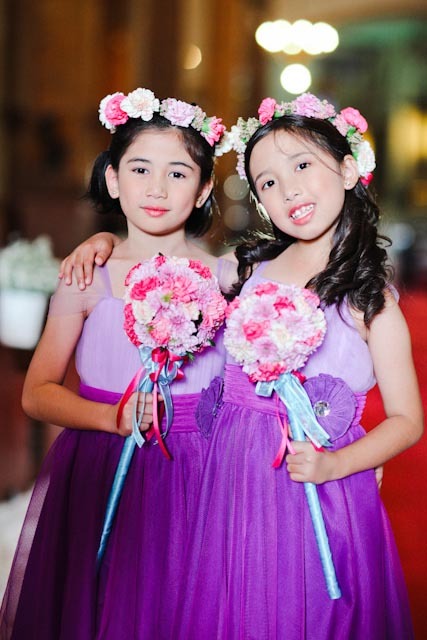 Check out the oh so cutesy Raza flower girl dresses as well! Sneak Peek! A summer wedding in October! 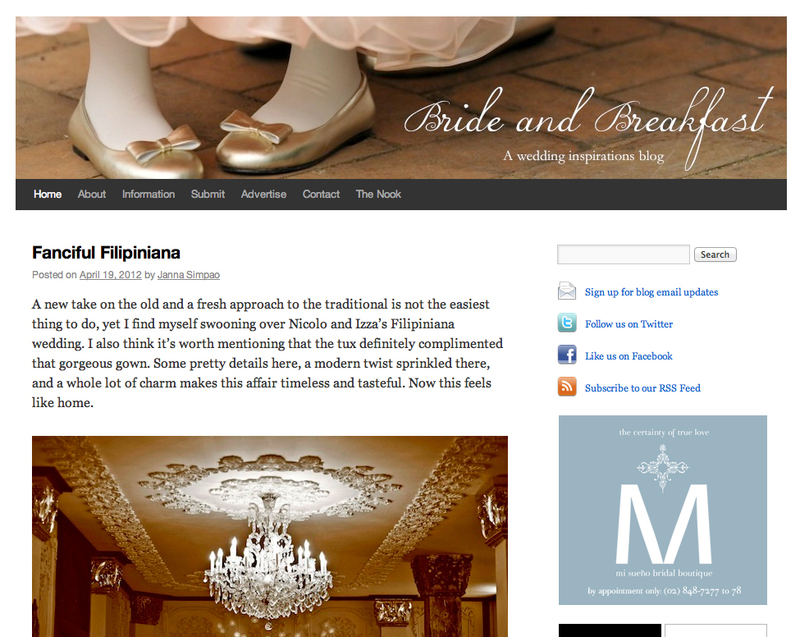 Check us out on Bride and Breakfast! 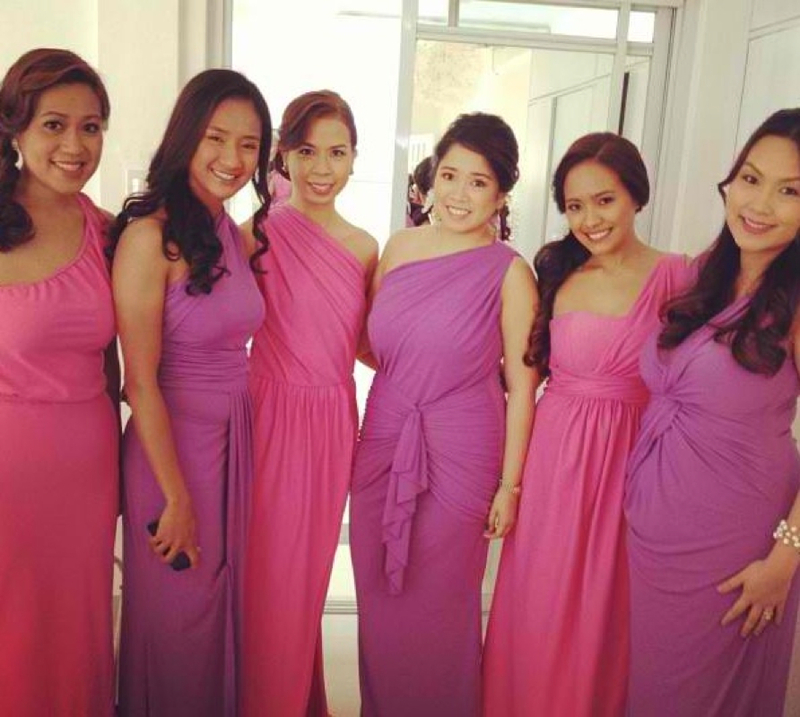 You can read all about Nic and Izza’s wedding (and of course our beautiful entourage gowns) HERE! Summer is here again! Just because it’s hot though doesn’t mean it’s no longer fun to get married and play dress up! Summer season is actually the perfect time to be adventurous with colors! 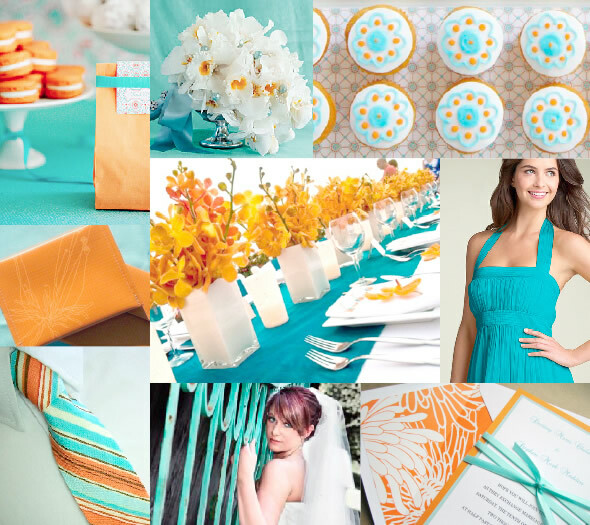 Play around with colors and textures to bring more fun to your wedding! 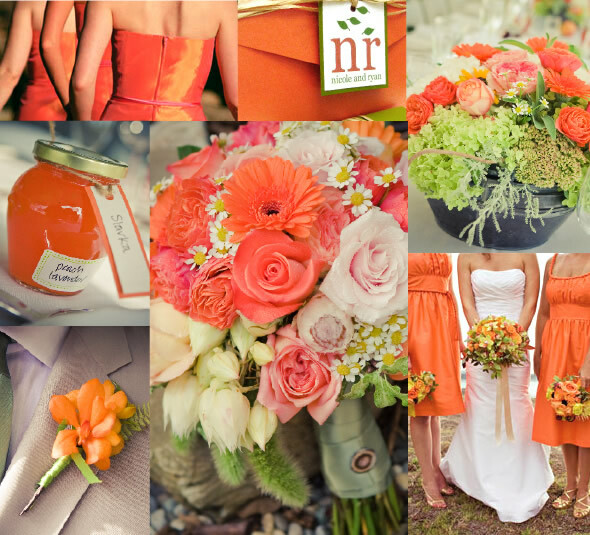 Don’t be scared to go wild in choosing your color theme. Now’s the perfect time to go crazy! You might even try going neon this summer! 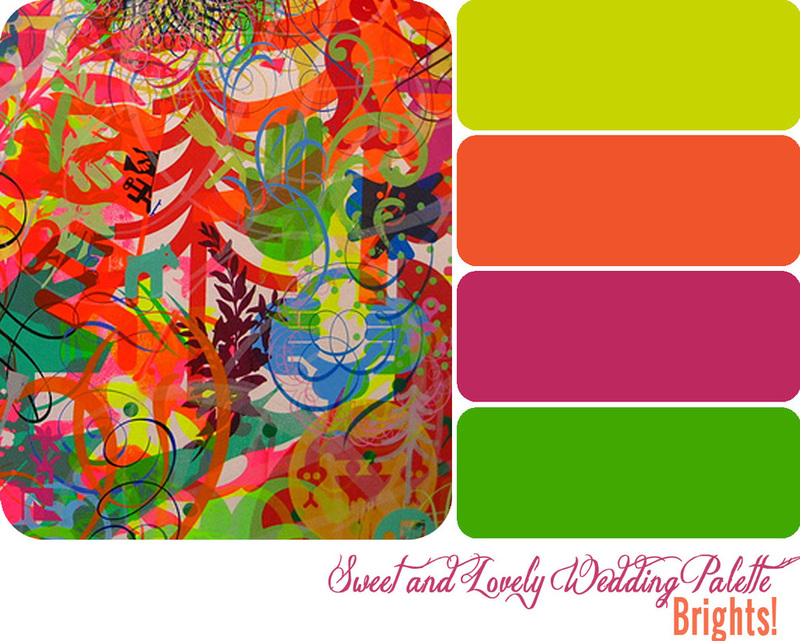 Check these color palettes out! 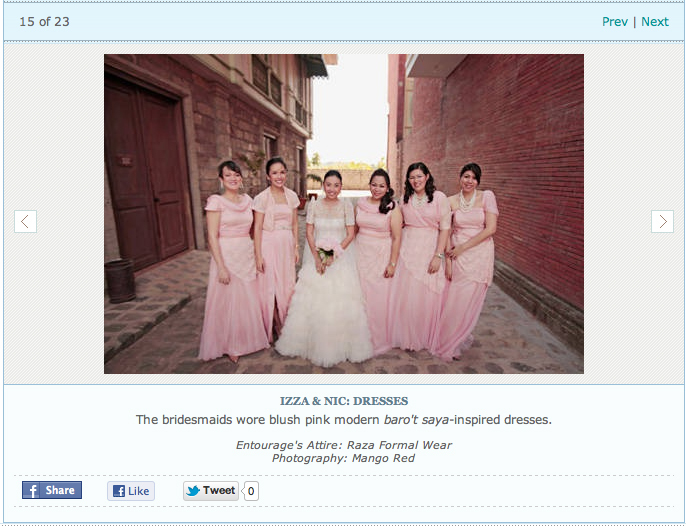 Thank you bridal book for featuring our modern Filipiniana entourage dresses! Hep hep Hooooray! You can all check out the article HERE. We all know Indian weddings last for DAYS! They have all these ‘mini ‘ but lavish events happening all throughout the celebration. One of the events is called the “youngster’s party.” It’s a party for the young crowd and is usually the wildest event of the wedding. It starts really late and ends in the morning, or even maybe way past that. So when Michelle, the bride, asked us to make her youngster’s party dress, what else could we say but HELL YEAH?!! The theme of her youngster’s party was…. drumroll please… the 80s!!! YESSSSSS! This is Michelle. Taken during one of her fittings. She wore a fully sequined, one shoulder, lace mini dress. Love the shoulder detail! 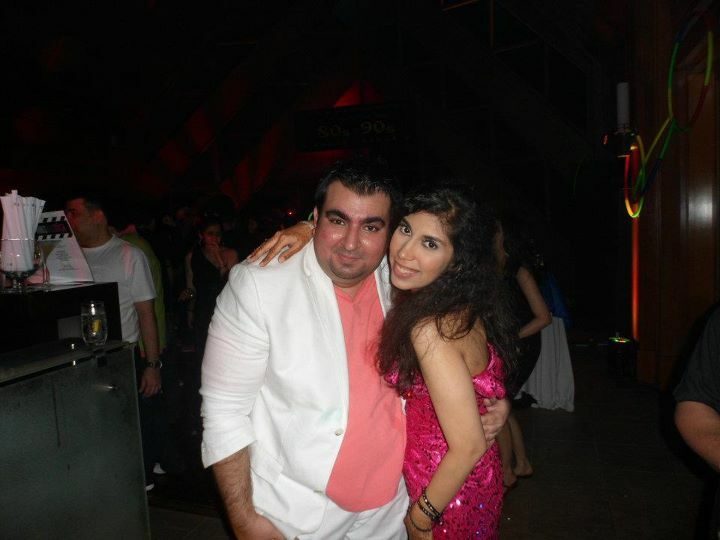 Here she is again with her equally pink and 80s groom, Rakesh. Meet Atty Rona’s Darell. Haaay. What we’d give to be 16 again! 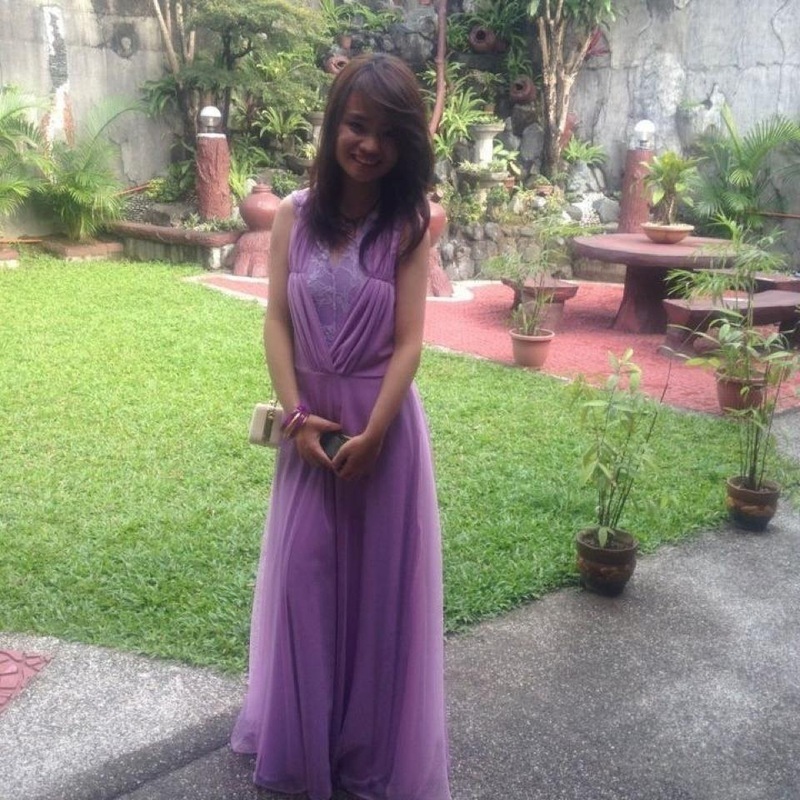 Darell in a lavander draped stretch tulle gown with lace details. The lace back is SCANDALOUS! 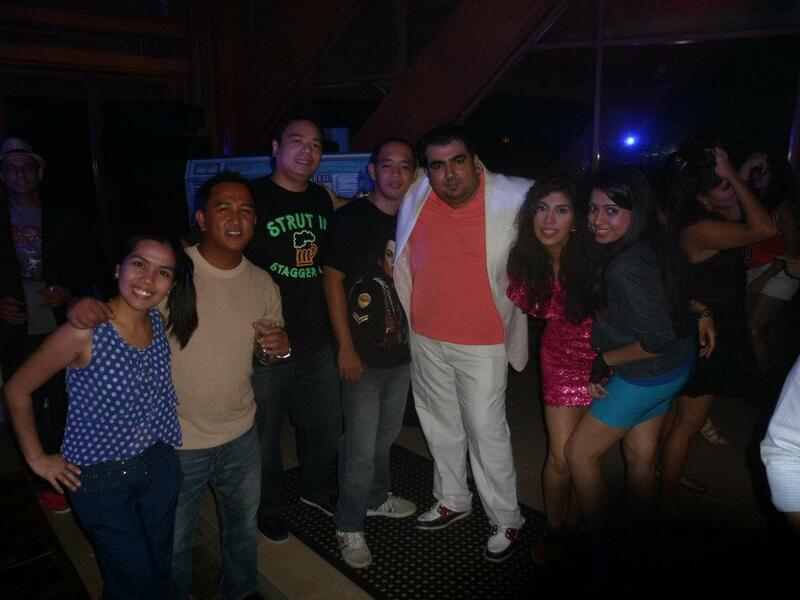 Must look for more photos!